Michael Klein (Renderbricks) added a comment to T61584: Cycles will crash Blender/cause reboot in GPU mode. Is this still an issue with the latest beta? Michael Klein (Renderbricks) added a comment to T62362: Blender 2.80: Loading OpenEXR in Image node will cause a crash. Impressive! Good job. That's why it's a pleasure to support Blender. Literally GOLD! Michael Klein (Renderbricks) updated the task description for T62362: Blender 2.80: Loading OpenEXR in Image node will cause a crash. Michael Klein (Renderbricks) created T62362: Blender 2.80: Loading OpenEXR in Image node will cause a crash. Michael Klein (Renderbricks) created T62248: Compositor: Crop node prevents moving nodes. Michael Klein (Renderbricks) added a comment to T37814: Artifacts in Cycles render for lowpoly models..
Michael Klein (Renderbricks) reopened T61745: Cycles Terminator Effect as "Open". Michael Klein (Renderbricks) updated the task description for T61745: Cycles Terminator Effect. Michael Klein (Renderbricks) created T61745: Cycles Terminator Effect. Looks like the workaround is to start the rendering and scale the render window content to a smaller size to prevent the CUDA crash during the rendering. Check this video. It has something to do with the viewport size, too. At the initial size of my scene the GPU will crash. I need to restart Blender. When scaling down the viewport it will work. Scaling up it will crash at a special level. It will crash when rendering in HD. But not crash at much smaller sizes. Michael Klein (Renderbricks) added a comment to T61585: Blender 2.80 copy node will cause freeze. Michael Klein (Renderbricks) created T61585: Blender 2.80 copy node will cause freeze. Rendering in CPU mode only works fine. Michael Klein (Renderbricks) updated the task description for T61584: Cycles will crash Blender/cause reboot in GPU mode. Michael Klein (Renderbricks) created T61584: Cycles will crash Blender/cause reboot in GPU mode. Michael Klein (Renderbricks) added a comment to T61325: Blender 2.80 crashs when clicking the Material tab. Thomas Charier (so_toasty) awarded T61325: Blender 2.80 crashs when clicking the Material tab a Like token. Michael Klein (Renderbricks) created T61325: Blender 2.80 crashs when clicking the Material tab. Michael Klein (Renderbricks) added a comment to T57765: Serious FBX Export Issue: A hidden material will override the visible material. Thanks for your time and this info. Thanks for the fast reply. So in my scenes there are hidden Blender material trees? Because I can't find them. Or is the scene "bugged"? Michael Klein (Renderbricks) updated the task description for T57765: Serious FBX Export Issue: A hidden material will override the visible material. Michael Klein (Renderbricks) created T57765: Serious FBX Export Issue: A hidden material will override the visible material. Michael Klein (Renderbricks) added a comment to T57109: Flickering artifacts in (animated) DOF areas. CPU and GPU are rendering different results. Here's the comparison. It seems to be a GPU issue. Here's the CPU result. No artifacts. Here's again the scene I used for the above video with the settings (1024 samples). The former upload was an older scene with different settings. Just to get sure. It also happens on my XPS with GTX 1050. I will test now CPU and GPU separately. Maybe an issue by the AMD Threadripper and/or GTX 1080Ti? Yes, it's not a Denoiser issue. My above rendering isn't using the Denoiser and a sampling rate of 1024. I have an older video of the same scenes without artifacts but I can't say what build I used for it. Michael Klein (Renderbricks) added a project to T57109: Flickering artifacts in (animated) DOF areas: Cycles. Michael Klein (Renderbricks) created T57109: Flickering artifacts in (animated) DOF areas. Michael Klein (Renderbricks) added a comment to T56902: Scene with 71K LEGO parts to support improving Blender 2.80 performance +++ will freeze Blender 2.79 when using Outliner. Here's a workaround to bring back performance after using "Make Dupli-Face". In case I would like to animate all bricks this is not a solution but to build massive static objects and environments like a city. I would love to see an overall better handling of my attacked scenes of course ... in the future. Michael Klein (Renderbricks) updated the task description for T56902: Scene with 71K LEGO parts to support improving Blender 2.80 performance +++ will freeze Blender 2.79 when using Outliner. Michael Klein (Renderbricks) created T56902: Scene with 71K LEGO parts to support improving Blender 2.80 performance +++ will freeze Blender 2.79 when using Outliner. Michael Klein (Renderbricks) added a comment to T56794: T56773 isn't fixed +++ GPU render with Blue Screen or empty GPU tiles. Michael Klein (Renderbricks) renamed T56794: T56773 isn't fixed +++ GPU render with Blue Screen or empty GPU tiles from T56773 isn't fixed +++ GPU render with Blue Screen to T56773 isn't fixed +++ GPU render with Blue Screen or empty GPU tiles. Michael Klein (Renderbricks) updated the task description for T56794: T56773 isn't fixed +++ GPU render with Blue Screen or empty GPU tiles. Michael Klein (Renderbricks) created T56794: T56773 isn't fixed +++ GPU render with Blue Screen or empty GPU tiles. Michael Klein (Renderbricks) added a comment to T56773: Latest Blender/Cycles build will crash in GPU mode (Blue Screen with 4594cc25ac8). It's not resolved in aa844ad676d from today. The CUDA error still exists. 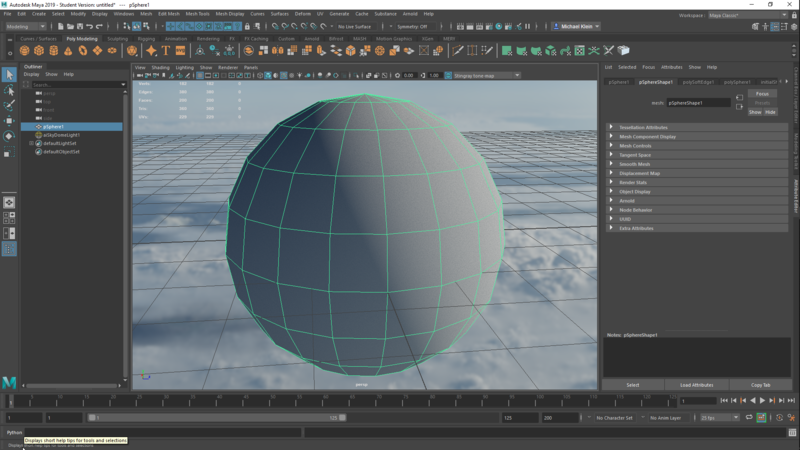 Viewport works. First render after fresh load will just render CPU tiles but GPU tiles keep empty. Second try will give a CUDA error. I also had again a Blue Screen. But not everytime. Michael Klein (Renderbricks) updated the task description for T56773: Latest Blender/Cycles build will crash in GPU mode (Blue Screen with 4594cc25ac8). Blue Screen with 2.79.6 4594cc25ac8. Michael Klein (Renderbricks) renamed T56773: Latest Blender/Cycles build will crash in GPU mode (Blue Screen with 4594cc25ac8) from Latest Blender/Cycles build will crash in GPU mode (randomly with a Blue Screen) to Latest Blender/Cycles build will crash in GPU mode (Blue Screen with 4594cc25ac8). Michael Klein (Renderbricks) renamed T56773: Latest Blender/Cycles build will crash in GPU mode (Blue Screen with 4594cc25ac8) from Latest Blender/Cycles build will crash in GPU mode with a Blue Screen to Latest Blender/Cycles build will crash in GPU mode (randomly with a Blue Screen). Michael Klein (Renderbricks) created T56773: Latest Blender/Cycles build will crash in GPU mode (Blue Screen with 4594cc25ac8). Michael Klein (Renderbricks) added a comment to T44643: Cycles rendering, packed images render differently from unpacked. Here's the scene with the issue. The original non-packed scene renders fine. In the node-tree the textures "apple_roughness.png" and "apple_normal.png" are set to "non-color". But when packed the "Color Space Setting" in the "Data-Blocks" is set to sRGB. Setting to "Non-Color" will fix the issue. I found the issue. 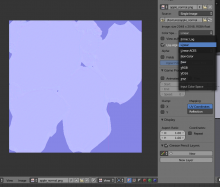 In Data-Blocks the Color Space Settings of the non-color textures is set to sRGB. Setting them to Non-Color will fix the issue. Just a reminder: This bug still exist in the latest builds. Michael Klein (Renderbricks) added a comment to T53902: Packed Scene with Textures will be rendered wrong. I don't know it this helps but if I open an image editor and manually set the color space of both the normal and the roughness maps to "Linear" instead of "sRGB" the packed version also renders fine. 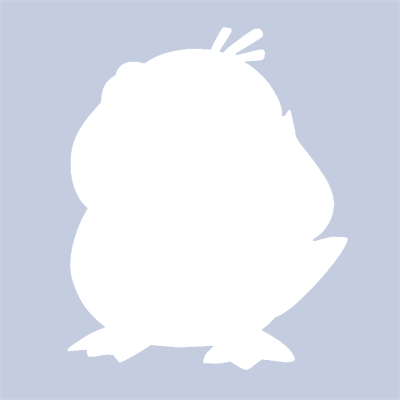 Seems to ignore the non-color data setting of the image texture nodes. Michael Klein (Renderbricks) updated the task description for T53902: Packed Scene with Textures will be rendered wrong. Michael Klein (Renderbricks) created T53902: Packed Scene with Textures will be rendered wrong. Michael Klein (Renderbricks) added a comment to T53767: Rendering with Volume Absorption aborts with CUDA Error. BTW: the new Transparent Glass option is great. So useful. Good job ... as always. I did now a couple of tests with the latest build of today. GPU rendering with my scenes is definitely broken. Michael Klein (Renderbricks) updated the task description for T53767: Rendering with Volume Absorption aborts with CUDA Error. The attached simple scene seems to work with the latest release. But keep in mind that I also could render this before but later the error appeared. Maybe its a random error caused by a specific situation? Michael Klein (Renderbricks) created T53767: Rendering with Volume Absorption aborts with CUDA Error. Michael Klein (Renderbricks) added a comment to T53270: Blender Cycles will crash when preview or render. Impressive. Most impressive how fast you wizards fix bugs here. Thanks! Michael Klein (Renderbricks) added a project to T53270: Blender Cycles will crash when preview or render: Cycles. Michael Klein (Renderbricks) created T53270: Blender Cycles will crash when preview or render. 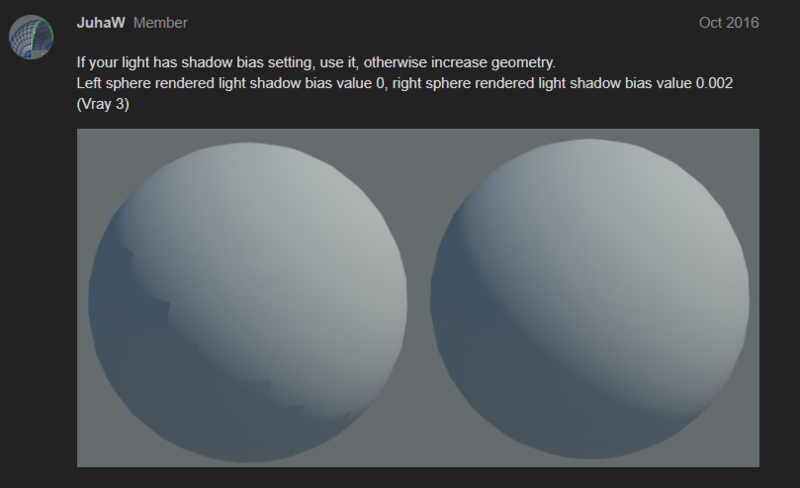 Michael Klein (Renderbricks) added a comment to D2803: Cycles: add bevel shader, for raytrace based rounded edges..
Michael Klein (Renderbricks) added a comment to T52625: CPU render will look different to GPU render and fails randomly. You can remove the bevel node on those materials if you want to verify it. To me it looks like specular highlights from bevel blurred by depth of field, which can be quite noisy. From profiling this looks like a performance issue with the OpenImageIO texture cache and .hdr files, the workaround would be to save the background image texture as a .exr file. The render differences look like they're just bevel differences, there can also be some differences in image texture filtering when rendering with OSL. Maybe a developer notice it right away or maybe a simpler smaller example its needed to test, not sure. Michael Klein (Renderbricks) updated the task description for T52625: CPU render will look different to GPU render and fails randomly. Michael Klein (Renderbricks) created T52625: CPU render will look different to GPU render and fails randomly. Michael Klein (Renderbricks) added a comment to T52360: CPU slow-downs extremely but speed-ups when moving render window. No. That's not the point. Watch my recoreded video and you will see that the speed of the tiles in the transparent areas slow-down extremely. When moving the window they start to render in an expected and correct speed. It's not correct that the tiles will take ages in the transparent area. The same issue you'll have randomly in the areas with geometry. When moving the window the rendering speeds up to the maximum speed. When minimizing the window the geometry area seems be rendered efficiently till it comes to the transparent area. The slow-downs and sometimes freezes of tiles is not normal. Michael Klein (Renderbricks) renamed T52360: CPU slow-downs extremely but speed-ups when moving render window from CPU slow-downs and speed-ups when moving render window to CPU slow-downs extremely but speed-ups when moving render window. Michael Klein (Renderbricks) created T52360: CPU slow-downs extremely but speed-ups when moving render window. Michael Klein (Renderbricks) added a comment to T52275: Denoiser will blur sharp reflections. I found an interim solution by using Branched Path Tracing. This looks much better. I could also set just Glossy higher and turn Indirect off in the Denoiser. But just using Branched works good actually. Metallic and black color (no diffuse) is working fine. 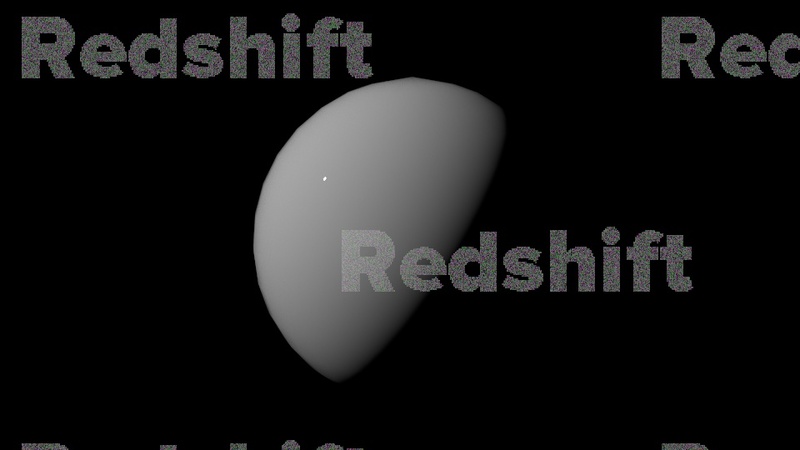 Specular and SSS with more diffuse will cause a blurred result. Thanks for your detailed answer. I rated this as a bug because the floor reflection is correctly sharp while the wall reflection is sharp in the render progress and will be blurred extremely by the denoising what will falsify the result. Michael Klein (Renderbricks) triaged T52275: Denoiser will blur sharp reflections as Confirmed, High priority. Michael Klein (Renderbricks) added a project to T52275: Denoiser will blur sharp reflections: Rendering. Michael Klein (Renderbricks) updated the task description for T52275: Denoiser will blur sharp reflections.